Arkansas is a great location for golfing at all levels, from beginner to pro. The scenic beauty of the state is a natural complement to the game of golf. 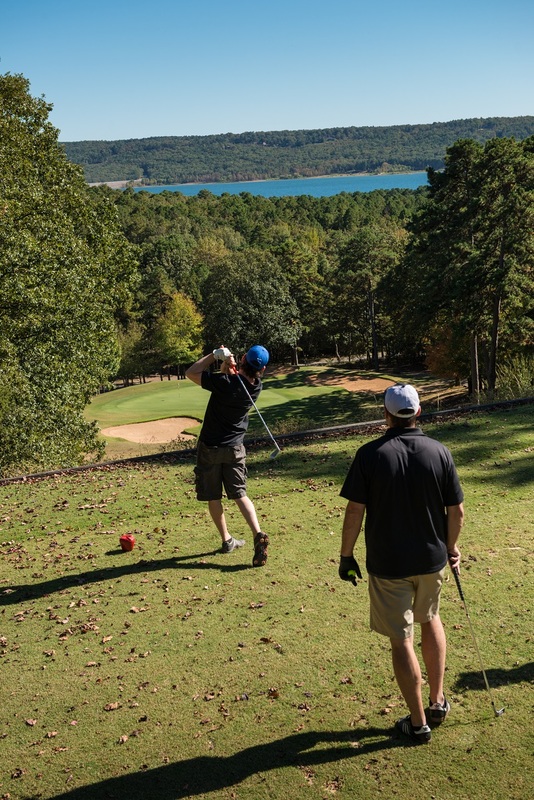 The Arkansas Golf Trail was created to showcase the variety of scenic courses across the state and has diverse options for golfers, both residents and visitors alike. The trail is home to 12 public and private courses in 11 locations across Arkansas, and highlights the varied landscape of The Natural State from hardwood forests and mountain views to rolling hills, lakes and the Delta. Along with the Arkansas Golf Trail, the state has numerous other high-caliber golf courses and the golfing terrain of the state also routinely attracts high-profile events. This year, a range of prestigious college tournaments are taking place in the state, including the NCAA Golf Championships. “The courses hosting these events are spectacular,” said Brad Kozak, who works on the Arkansas Golf Trail program. The NCAA Division I Men’s and Women’s Golf Championships is set to take place at the Blessings Golf Course in Fayetteville, which is home to the University of Arkansas men’s and women’s golf teams. This is the first time the tournament has been hosted in Arkansas. “This is arguably one of the largest amateur events in the country and to have both the ladies’ and men’s championships is a huge deal,” said Kozak. “It’s a game changer and it is bringing eyeballs to golf in Arkansas.” National sports coverage of the event has been slated for all day on the Golf Channel and NBC is also bringing in a coverage team for the event. The Hot Springs Country Club has also hosted successful college events for years, according to Christina Lecuyer with the Arkansas Golf Trail. The Club, a part of the Arkansas Golf Trail, will host two college events later this year. Other courses that will be hosting prestigious college events this year include the Texarkana Country Club, which will be the scene of the upcoming 2019 Men’s Conference USA Men’s Golf Championships. All of the events are open to the public to come and watch. Below are the upcoming dates for these golfing events taking place across the state. For more details on the Arkansas Golf Trail visit naturalstategolftrail.com.